Karl Knauer KG has come up with a new highlight in the “smart packaging” sector: The according to the company first illuminated packaging with imprinted, flexible organic LEDs (OLEDs), which were developed by their partner company Inuru. 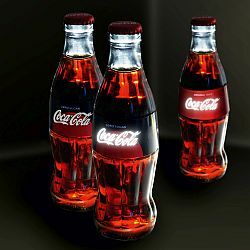 The product that won a Promotional Gift Award 2018 in the category Customising Technologies is a label for the brand Coca-Cola, the impressive light effects of which are activated by a play button: The Coca-Cola logo is illuminated and inevitably turns heads even in brightly lit surroundings. OLEDs are ultra-thin, self-emitting flat light sources comprising of organic semi-conductors. They can be completely imprinted including all of the electronic components, even the batteries, are cheap to produce as well as being flexible.